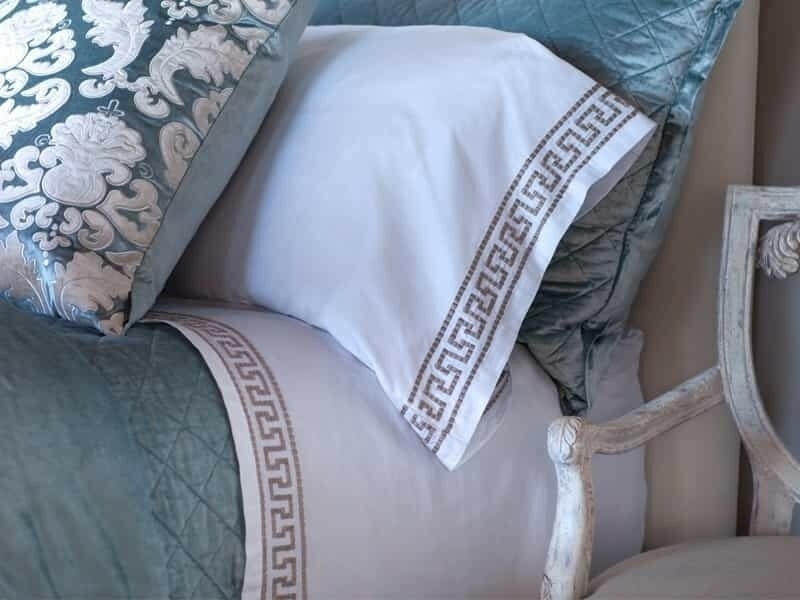 Dimitri Standard Pillowcase made of White 100% Long Staple Egyptian Cotton Sateen 300 Thread Ct w/Dk. 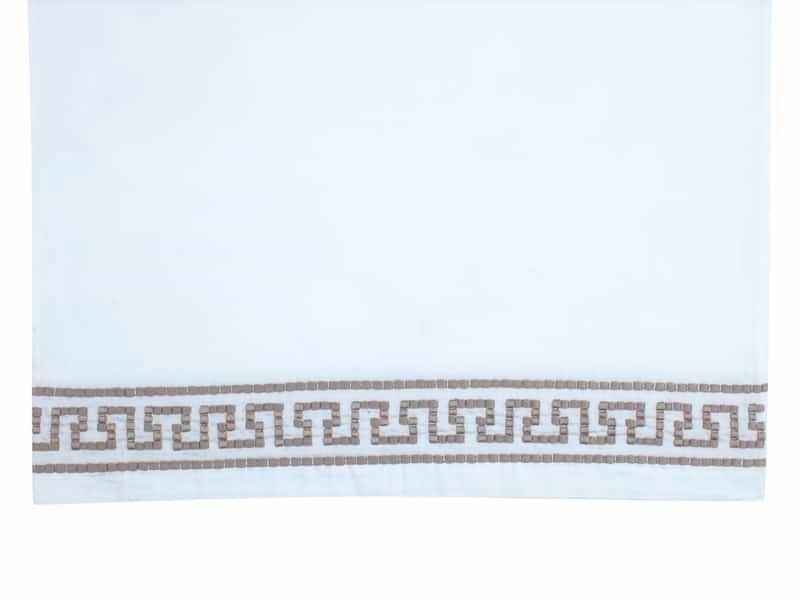 Champagne Tile Embroidery on Pillowcase Perimeter; Includes (2) Pillow Cases (20"W x 32"L). Machine Washable. Imported.